21 March - A return to San Diego on business took me back to the Firehouse Brewing Company. 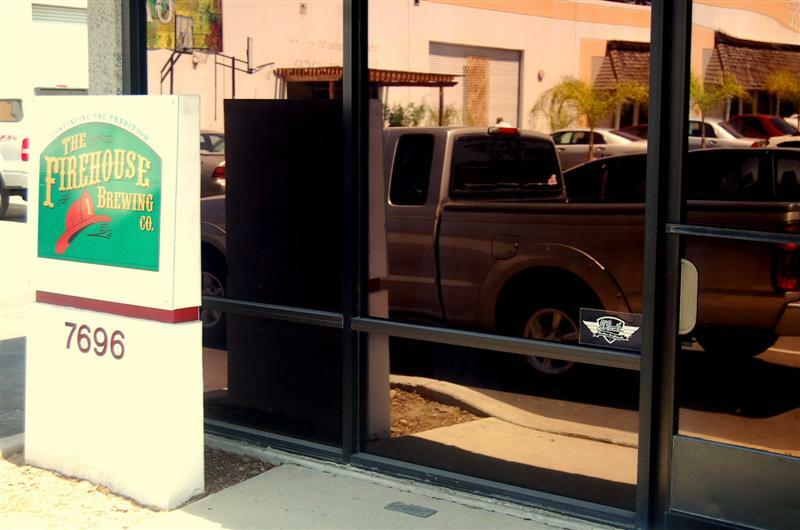 This is a brewery only (no brewpub) that makes nine different beers. 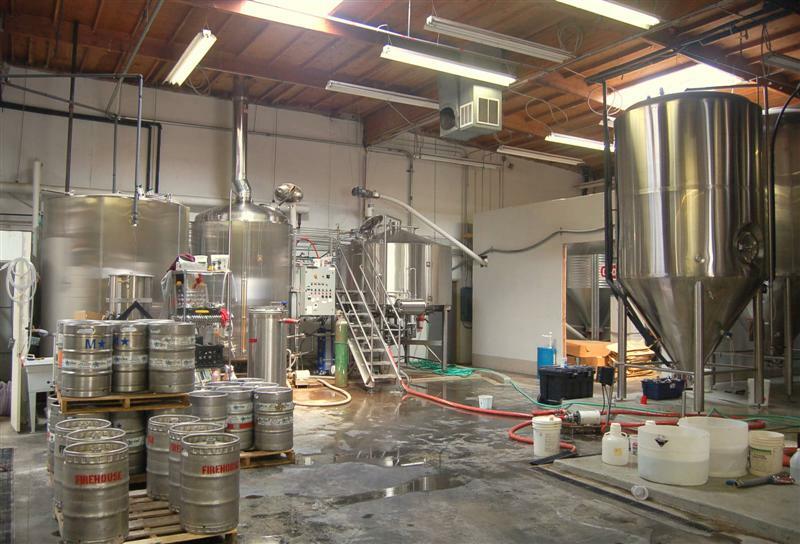 They brew for kegging and bottling distribution to stores and bars in southern California. 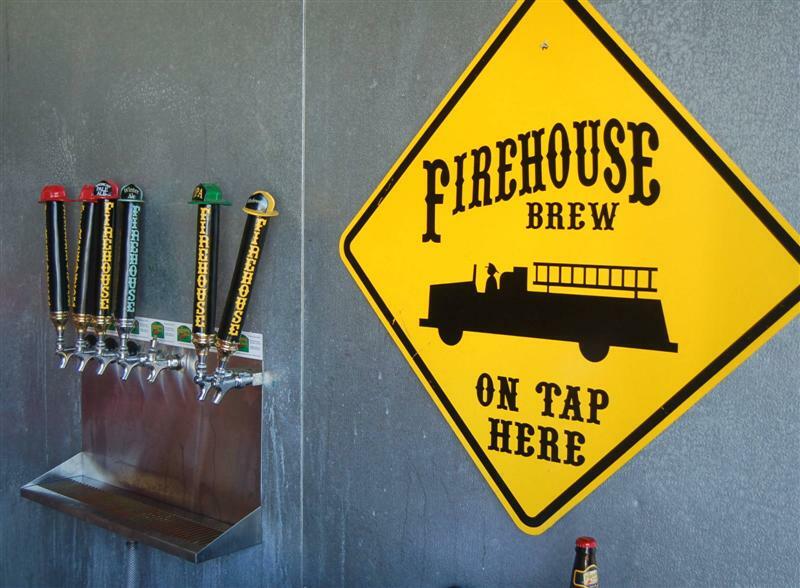 The Firehouse Brewing Company was founded by third generation San Diego firefighters and a portion of the proceeds go to support local firefighter widow and orphan funds and to local fire departments to help buy safety equipment. I arrived on a Sunday afternoon and Nick, one of the brewers, was there manning their beer garden which is open daily 2 â€“ 7 pm. I got a beer and Nick gave me a tour of their 50-barrel brewing systems. The beer garden isnâ€™t much yet, a bar area with some picnic tables on the concrete patio. Theyâ€™re making progress on the area and improvements, especially shade, will make things better. I tried several of their beers, the American Pale Ale, Hefeweizen, Diego Especial (lager) and Sun God Belgian White Ale. All of which were great. Five ounce samples are a dollar each and pints are four dollars. Time to put out the fire!